Hello, Mick! The palms are beautiful. 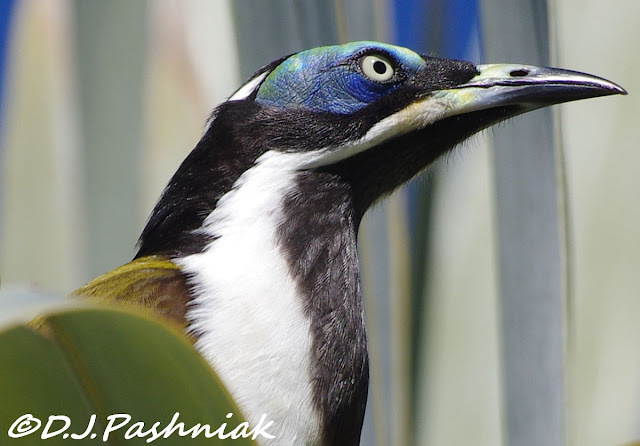 The Blue-faced Honeyeater is a cool looking bird. Great series of photos! Happy Monday, enjoy your new week ahead! Gorgeous plants and bird is wonderful ~ all great shots! He is a rather aggressive looking bird! Beautiful colourings, too. 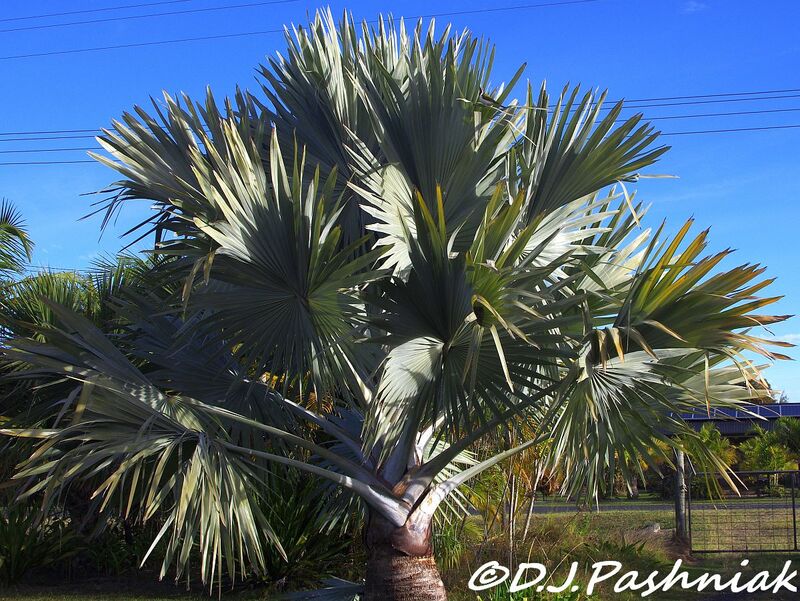 OH your blue palm is lovely and healthy. The birds are lovely and look very fierce. The shot was so detailed and clear. Thanks. You have such pretty yard birds! Even with that aggressive personality, I'd love to see that bird! 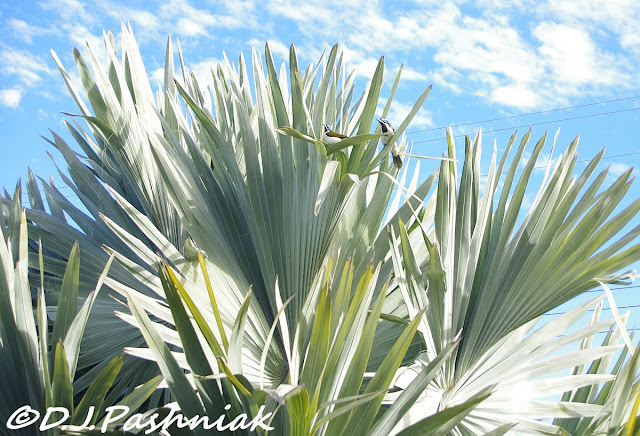 We see the beautiful bluish palms in Florida, but certainly never with that handsome colorful bird in its leaves. Wow. 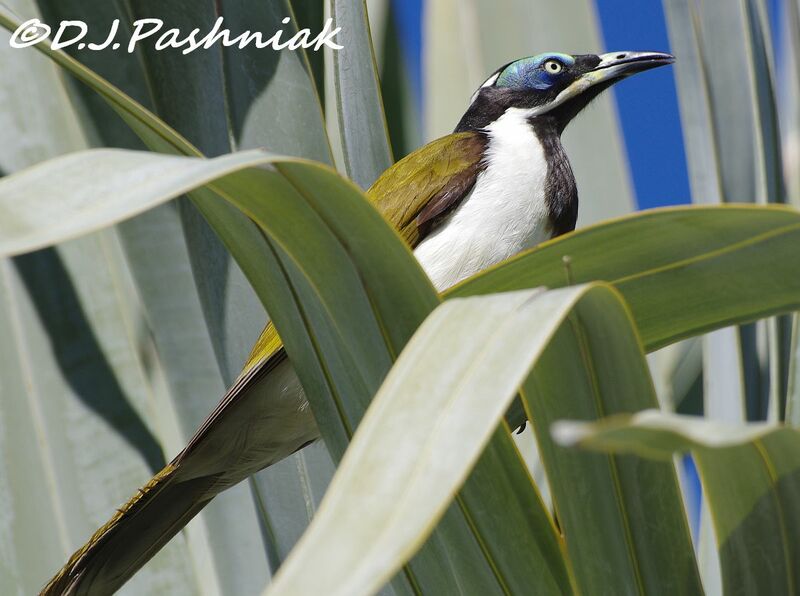 Lovely shots of the Honeyeaters.They have gorgeous markings up close. It does appear that they had a nest or young up there somewhere. Very good parents I think? Thanks for reminding me about the tropics. It's "summer" here but you wouldn't know it this week. That is a fantastic looking bird. Great pictures. What a stunning bird and amazing images. Oh my gosh! What a striking face. I'd love to have him sitting in my tree. Great close up. Stunning bird! I loved your photos...your palm trees are just lovely. We have quite a few palms in the Tucson area of AZ where we have been living the last five years. Your photos are gorgeous! Thank you so much for sharing. Great yard birds - very, very different to mine! 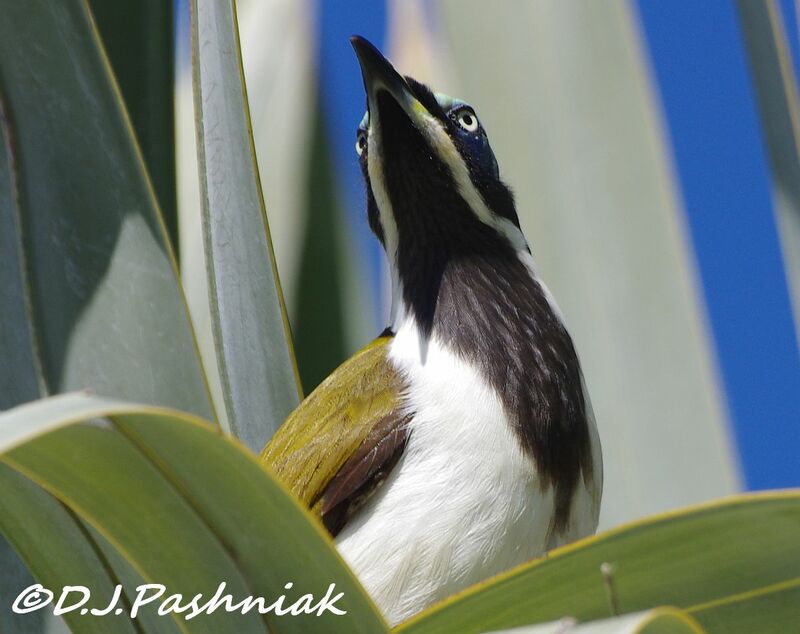 Great shots of the Honeyeater! I'm jealous of your yard birds! I also like the foliage of your palm. Hope your winter has been going well. Sorry to have been absent for so long. More interruptions from Life.